A Californian tech-based wholesaler is launching in the US, aiming to democratise access to the US market for smaller producers. 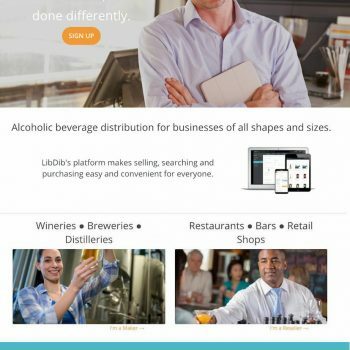 Liberation Distribution (LibDib) is launching its new new online wholesale platform next month, which founder Cheryl Durzy claims is the first alcohol distributor and technology company to offer a web-based platform compliant with the US’s three tier system that allows boutique wineries, craft spirits and micro-brewers to set up their own distribution. Speaking to db ahead of the launch, Durzy said the move would provide level playing field for producers keen to gain access to the market with no “unfair incentives or price breaks”. Durzy, who has managed sales marketing and distribution of her family’s 80,000 case winery, Clos LaChance, said she had become increasingly frustrated with the wholesale system in the US, arguing that it was not giving smaller producers access to the market, or the support to build their brands. The platform will go live in California in early April, with New York to follow, but Durzy is planning to roll out across all fifty states over the next three years. She is targeting ten key states in the next 12 months, including Florida, Massachusetts, Illinois, and Colorado (specifically Denver). Durzy argues that the current process makes it difficult for smaller producers to gain exposure to the market, and the producers can end up with little control of their own brand, particularly in states with strong franchise laws, which make it difficult for them move to another wholesaler. “All brands deserve a route to market and LibDib creates an opportunity where makers and buyers can work directly together,” she said. Durzy is targeting around 500 – 1,000 producers by the end of the year, noting that the platform is more likely to attract smaller producers, with products appealing primarily to independent retailers in search of ‘unique’ products. “But I see a lot of grocery channels so that is a way to find more local, less commoditised products as that is the way the market is going,” she told db. The LibDib tech platform will automatically handle invoicing, payment processing, collections and taxes, which Durzy says allows producers and retailers to do business in “a more open, efficient and cost effective way”. And because producer take care of its own shipping, this enables LibDib to keep its costs for producers down as it does not have to put money into inventory, she adds. “The biggest expense of the trade wholes is their inventory, particularly ageing inventory,” She said. “It is a big concern for wholesalers”. Interesting idea but I do not understand how it is going to work. Who is going to sell these products to the stores and restaurants? In the US, sales are still very much a relationship business. You have a relationship with a store/chain/restaurant buyer and you get the business. I cannot imagine many independent retailers or restaurants ordering their wine via the mail from a computer screen. LibDib is going to need sales people in each market that they are in if they want to compete or get a message on all these brands. I think that these small producers that they are trying to help will be in the same position that they were in with the larger wholesalers…they will still not be selling the cases they want. At least at a larger wholesaler, if they are smart and understand the system, small wineries can still move the needle. The reason so few of them struggle is because they don’t understand the system. This article is vague and i could not find a LibDib website that explains the details. There is a YouTube video that also sheds no insight into the business and is really just fluff. Hi Art, thanks very much for your comments. In the US, even with traditional distribution, small brands have to spend much time and resources to sell themselves. There is nothing different here. 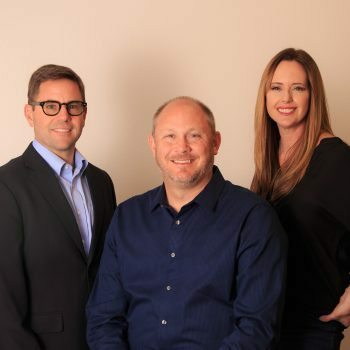 Brokers, working the market on your own, 3 and a half tier marketing companies….that is the only way for small to mid-sized companies competing in this marketplace as the larger wholesalers are beholden to the larger companies. Additionally, LibDib addresses the many, many brands that cannot even get a distributor to carry them. Anyone can be on our platform and now has access to the states we licensed in.